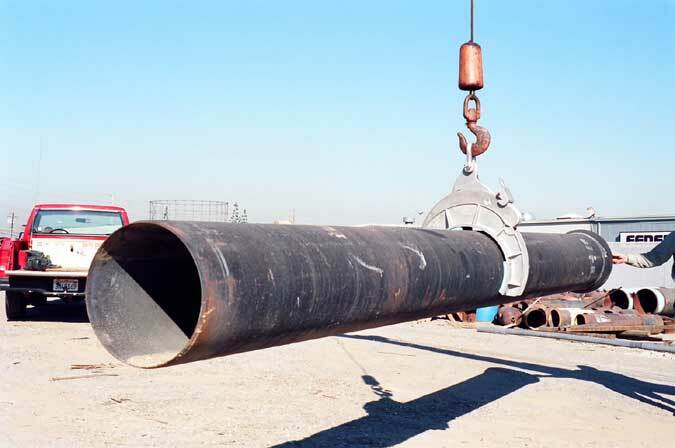 Pipe in position ready to be automatically released by Crescent aluminum pipe tong. Crescent aluminum pipe tong, model HE picking 12" pipe from stockpile. 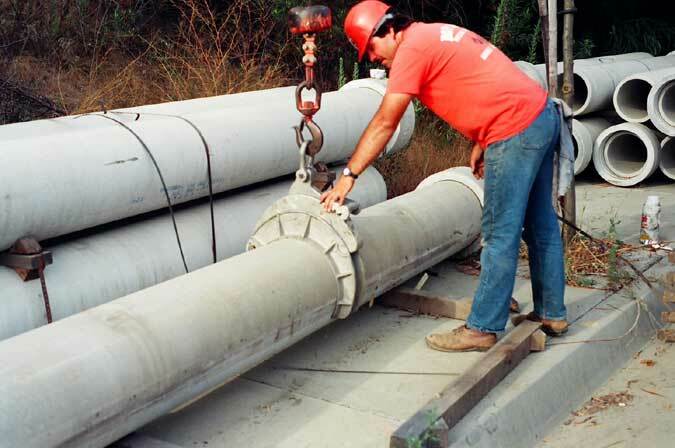 Model HG Crescent cast aluminum alloy pipe tong lifting 16" ductile iron pipe. Crescent Pipe Tongs are manufactured with the highest quality certified materials and manufacturing processes. Available in light weight aluminum alloy with dimensions of 4" to 16" Pipe. Crescent aluminum pipe tongs are your answer for easy, safe and efficient handling of any type or size of pipe. 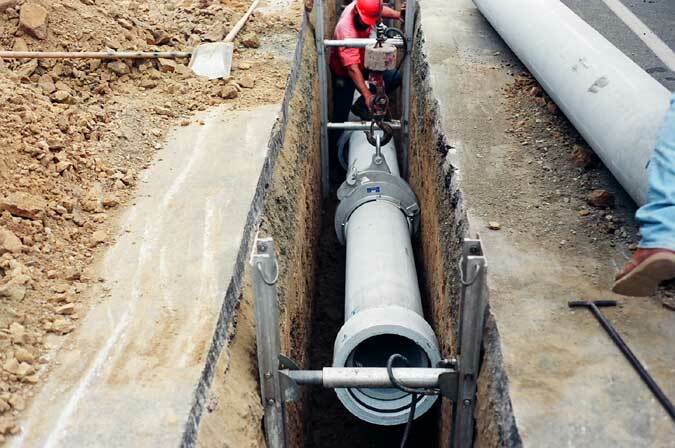 Usable with virtually any type crane or excavator, Crescent aluminum pipe tongs are easy to attach and release automatically with complete safety, speeding up job handling operations and allowing placement of pipe in trenches within a minimum working width. Each Crescent aluminum pipe tong is stamped with a safety load limit (which should never be exceeded) and for enhanced safety has been built to withstand 3 times the rated load. All aluminum tongs conform to applicable state and federal safety standards, and comply with OSHA safety orders. Instructions for their safe and proper use are provided with each shipment of Crescent Pipe Tongs.